Al-Arabiya al-Hadath TV aired a shocking report on July 25 exposing how Iran attempted to smuggle 45 kilograms of C4 explosives, arms and ammunition into Bahrain. However, Bahrain authorities busted this attempt and arrested 5 individuals in this regard. Bahrain has also recalled their ambassador to Iran protesting the meddling and measures taken by the mullahs’ regime. 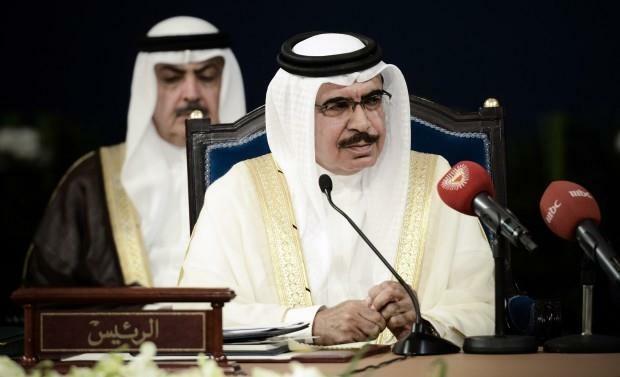 It is worth noting that recently Bahrain Interior Minister Sheikh Rashed Al Khalife emphasized that his country condemns any and all meddling by Iran in their internal affairs, the Saudi-based al-Akhbariya TV reported. He accused Tehran of spreading belligerent viewpoints, launching misleading media propaganda, smuggling explosives-arms-ammunition into his country, and furthermore establishing terrorist training camps. Manama will most definitely continue supporting its population, he emphasized. “Gulf Cooperation Council states act as a linked security system against all threats,” the minister added. Providing security for all nations of the region is amongst our objectives, he added. Therefore, GCC countries are taking steps to develop their international pacts, he continued. Prior to this an American intelligence report indicated the presence of Iranian elements in Bahrain with Hossein Mashima’, head of the al-Wefaq group, leading the pack. These individuals are known to have close relations with Tehran.